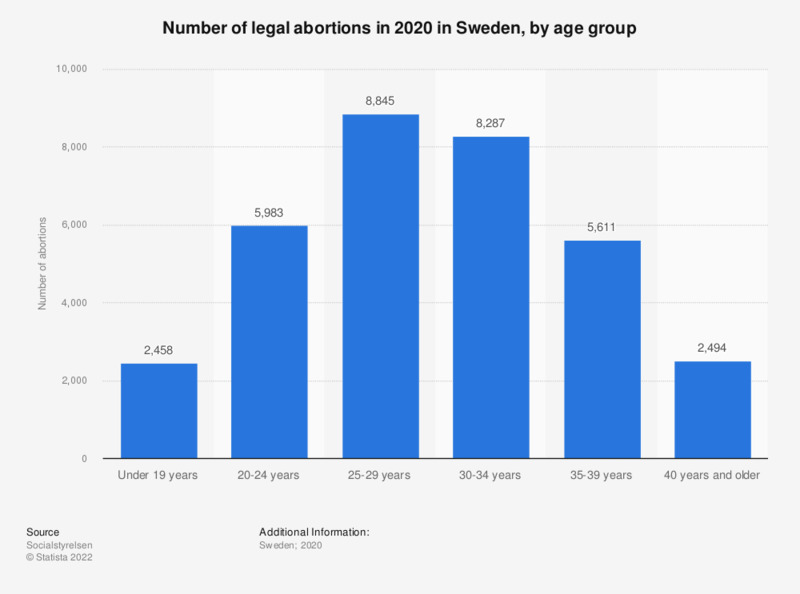 This statistic shows the number of legal abortions in Sweden in 2017, by age group. During this year, the age group that had most legal abortions was 25-29 years old, with 10,017 abortions. For women less then 19 years, 3,006 legal abortions were done.